Καλοτοποθετημένο στη εστιατόρια, επαγγελματικές δραστηριότητες περιοχή της Τόκιο πόλης, το Centurion Hotel Residential Cabin Tower είναι το κατάλληλο μέρος για να χαλαρώσετε από τις πολυάσχολες μέρες σας. Σε απόσταση μόνο 0 km από το κέντρο της πόλης, οι επισκέπτες βρίσκονται στην κατάλληλη θέση για να απολαύσουν τα αξιοθέατα και τις δραστηριότητες. Από τη βολική της τοποθεσία, η ιδιοκτησία προσφέρει εύκολη πρόσβαση σε κορυφαίους προορισμούς της πόλης. Το Centurion Hotel Residential Cabin Tower προσφέρει άψογη εξυπηρέτηση και όλες τις βασικές ανέσεις στους ενθουσιώδεις ταξιδιώτες. Για την άνεση και την διευκόλυνση των πελατών, το ξενοδοχείο προσφέρει δωρεάν WiFi σε όλα τα δωμάτια, ημερήσιος καθαρισμός, ενοικίαση φορητού wi-fi, αυτόματο πλυντήριο, 24ωρη ρεσεψιόν. Τα δωμάτια του ξενοδοχείου έχουν διαμορφωθεί προσεκτικά ώστε να παρέχουν υψηλό επίπεδο άνεσης και την ευκολίας. Σε κάποια από τα δωμάτια, οι επισκέπτες μπορούν να βρουν επίπεδη τηλεόραση, ασύρματη σύνδεση internet (δωρεάν), δωμάτια για μη καπνίζοντες, κλιματισμός, θέρμανση. Εξάλλου, το ξενοδοχείο διοργανώνει πολλά ψυχαγωγικά δρώμενα έτσι ώστε να έχετε πολλά πράγματα να κάνετε κατά τη διαμονή σας. Το Centurion Hotel Residential Cabin Tower είναι ένας ιδανικός τόπος για να μείνετε αν ψάχνετε για γοητεία, άνεση και ευκολία στη Τόκιο. The Samurai lounge is not a public space and not accessible for guests. As subject, the hotel didn't provide enough yukata for everybody so u need to reserve early (200 yen for each yukata, while the one at kyoto is free of charge & newly provided everyday. The staff didn't remind me for the limited yukata in the morning, and when I discover late night w/o yukata I feel frustrated as I don't like to wear day time clothes for sleep😕). Sound insulation is bad & I can hardly sleep well. Recommend to pay more for better rooms if ur budget allows. Overall the hotel is in hygiene condition. Stayed for 5 nights. Very convenient and safe location, always alive with people even past 10pm. There's a donki nearby. Had to remove shoes before entering the carpeted room floor. Glad that I brought my own travel slippers. Bathroom is very clean with basic amenities including towels. Front desk was able to receive a package on my behalf having informed them beforehand. The only downside: my room is at the end next to a full length window. The blackout curtains can only block the morning sun but not the heat, making the room very stuffy. I literally had to put my face under the small aircon outlet on the ceiling to breath cool air, or go out to the corridor. It provides everything needed for a comfortable and low budget stay. Easy access to train station, lots of nearby stores and equally important is the feeling of safety in walking around the area. it feels better after a new renovation for the cabin, staff are helpful and very nice, very good location as usual, very tidy and satisfied. however, the inner room temperature was very hot for my last visit(winter), but this time, it was very cold, nearly freezing esp the sleeping time, the blanket is too thin for the room temperature, hope it would be adjusted in the future. My Tokyo first choice. Love this hotel much. Really worthy for money. Clean bedroom, super clean and hi tech toilet, Big shower room. Clean towel everyday!!! Safety entrance by Keycard. Super nice capsule hotel in the nightlife area. Recommended for a female solo traveler!!! Good Location, friendly helpful staff. It does not have the party atmosphere that you may find at a hostel, which for me was a definite plus. Pods were well designed, with plugs, usb charging ports a large TV at your feet. I'm impressed by their facilities and small details. The bed is really comfortable. They have small safe inside the room (suitable for wallet and smartphone). The lamp intensity inside the room can be adjustable. There is multicharger available for your smartphone, and there is another socket for which you can use to charge your mobile battery with your charger. Locker room is big and you can change clothes there. In short, you can find everything you need here, with reasonable price! Perfectly located in a thriving neighborhood and central to most attractions. The staff and facilities are exemplary. I liked the hotel so much I booked with the same company in Kyoto. Will definitely come back. Incredibly clean, quiet, comfy, friendly staff, fantastic location, lots of ameteties (all toiletries, even razors and toothbrushes! ), lockers will fit a carryon + more, hangars, modern nice restrooms and showers. 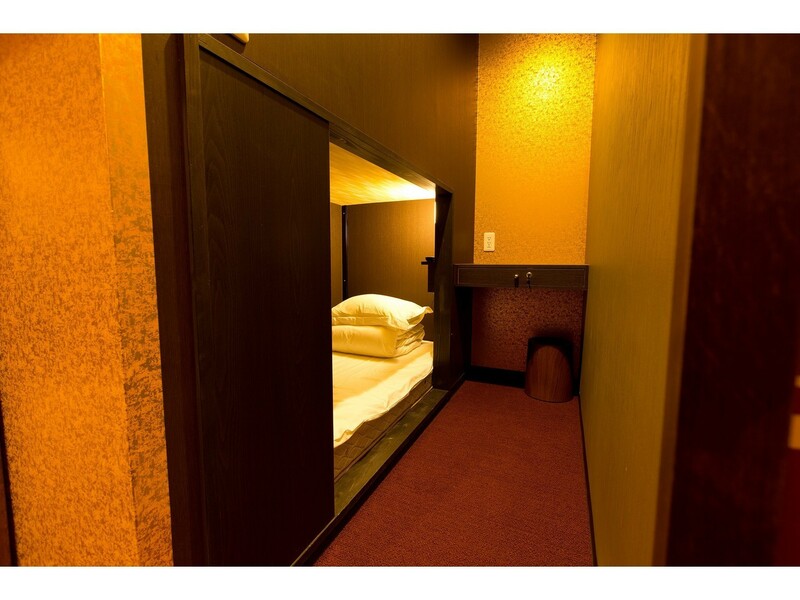 Don’t hesitate to stay here if you’re looking for the nicest capsule / cabin accommodations you can get. My second time staying here. Stayed in the 3rd floor men's cabins. Would recommend you choose another men's floor as the bathroom, sink, and shower setup on the 3rd floor is weird and slightly inconvenient. Otherwise, if you see a deal for this place go for it. Lots of places to eat nearby, and close to a subway stops. Not a quiet neighborhood during shop opening hours. Thank you very much for using Centurion Hotel Residential Akasaka this time. Also, thank you for your compliments about many valuable opinions and greetings.We are planning renewal in the future, we will keep in mind that we can review and improve the opinions received from our customers. We are looking forward to seeing you again from the same staff. Many restaurants, and Chiyoda line is there 60m away from exit 1 of Akasaks station to the hotel. Not the cleanest or best facilities such as the sento bath at the sister property in Kyoto, but sufficient for stay in Tokyo without paying dearly for accommodation. 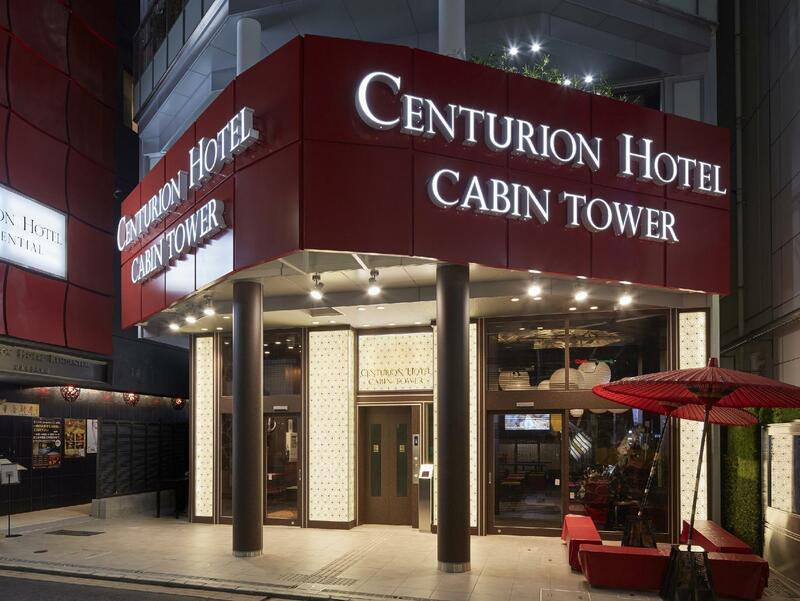 Thank you for using Centurion Hotel Residencial Cabin Tower. Akasaka is very convenient to go to somewhere because various subway lines nearby. Also there are many shops so you can enjoy easily. We are always trying to develop into a hotel that will satisfy our customers better. Thank you. Best regards Front Staff Seo. Very nice single room! And bigger then what I expected , also it's very clean. Although there is no sound proofing , but it's not noisy at all. Staff are very good in English , some of them also good in Chinese. A Nice and recommended one! 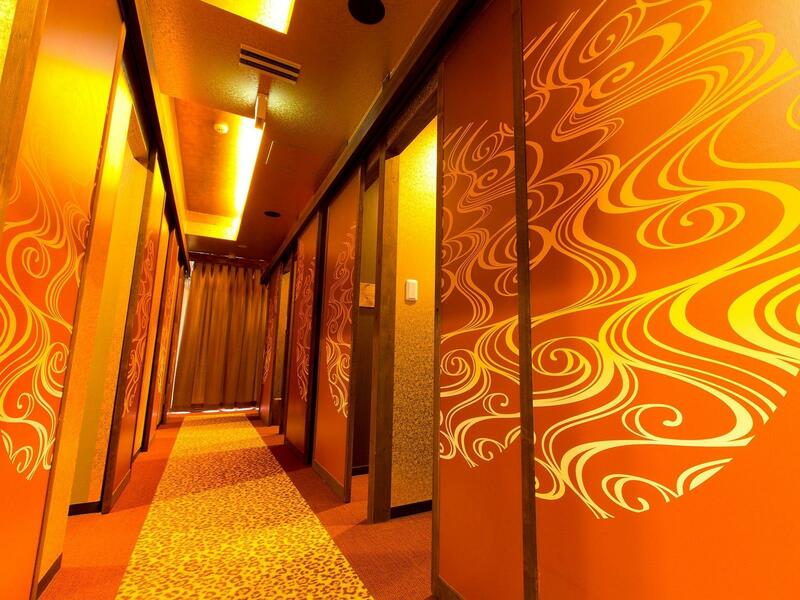 I've been to several capsule hotels around Tokyo and Centurion is by far the best. 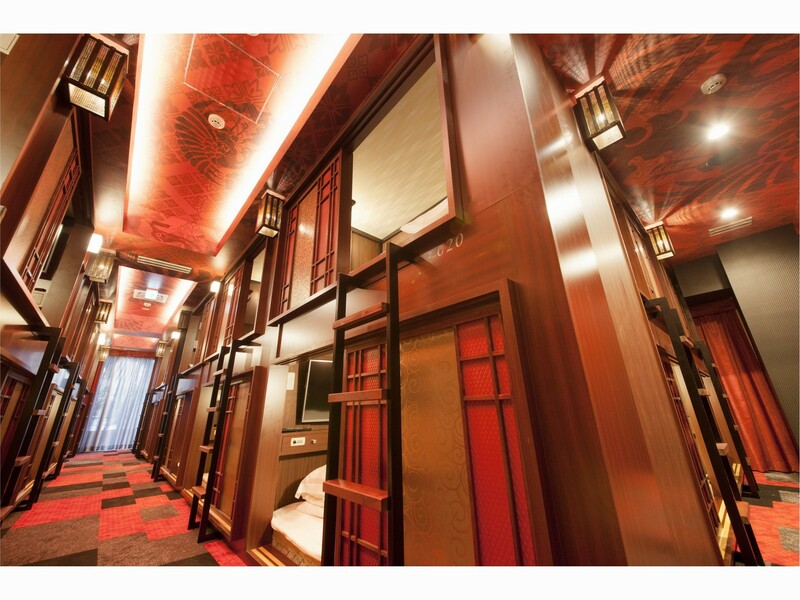 Unlike other capsule hotels catered mainly to Japanese, Centurion has taken into account the needs of the traveler. Like other capsule hotels, you will still need to check out in the morning (11 am at Centurion). You cannot stay inside the hotel after 11 am even if you are staying for several nights. However, you can leave your stuff in your locker for the entire duration of your stay. This is useful if you're tired of having to carry your bag around all day, just leave it inside your locker. 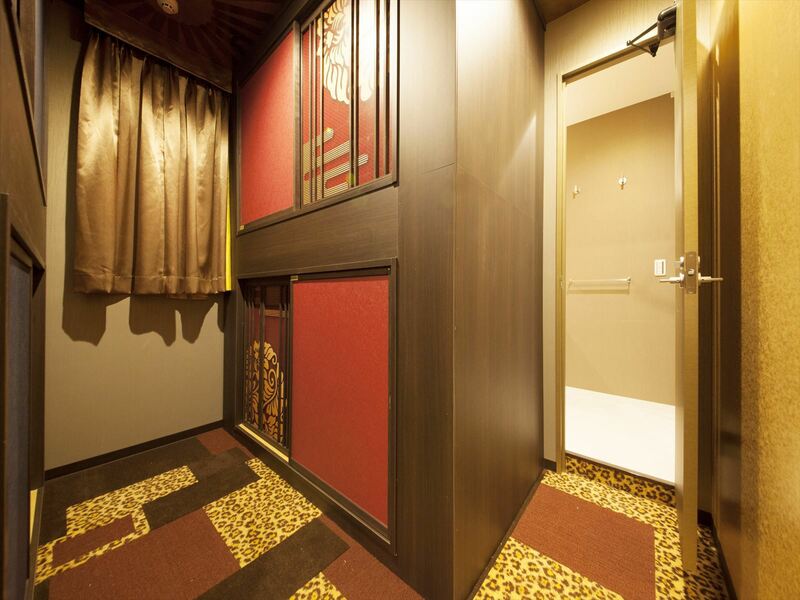 Other capsule hotels will require you to empty your locker every day, even if you are staying for several nights. As for the accommodations, the capsule is nicely sized for anyone below 5'9". Anyone bigger that will find it small. The capsule has some small storage compartments for your phones, wallets, etc. It also has a power outlet, USB port, retractable mini-desk (for your laptop), 32" TV, clock with alarm, manual airflow adjustment (to control temperature inside your capsule), several reading lights. They change sheets everyday if you leave your capsule open when you leave the hotel in the morning. They provide complimentary toothbrush, toothpaste, slippers, bathrobe, towel and other basic toiletries. 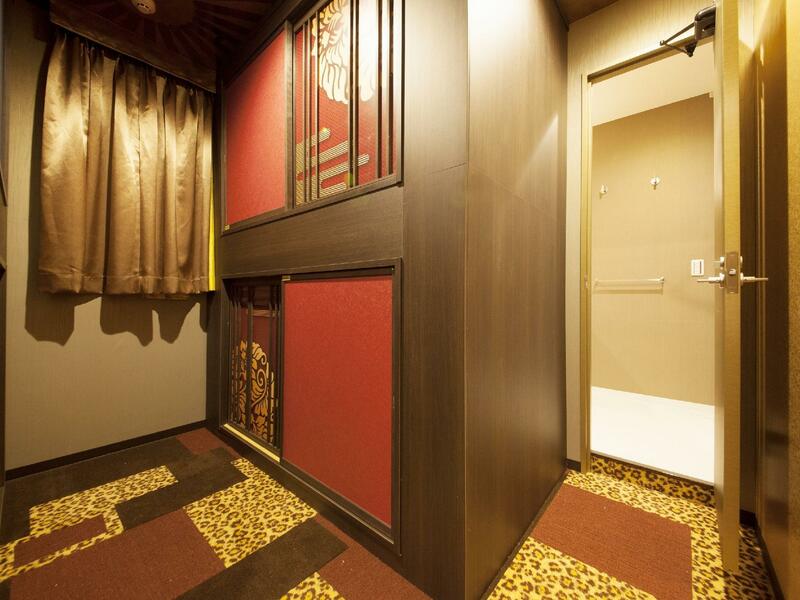 As this is a capsule hotel, bathroom facilities are shared. In a single floor, there are 2 showers, 2 toilets and 3 lavatories/sinks which are shared by more than a dozen capsules in that floor. Never seemed crowded though. This is the only capsule hotel I know of that offers a breakfast buffet. It's quite tasty although the choices are limited. It's your typical Japanese breakfast buffet with a few Western stuff like bread and sausages. The curry and eggs are quite good. During the evening, there are a lot of places to eat at nearby. I'll definitely stay here again if travelling solo. Σιδηροδρομικός Σταθμός Akasaka στα 0.19 χλμ.